Here are a few safety tips to help ensure everyone has a safe and happy Halloween. Cross the street at corners - using traffic signals and crosswalks. Make sure to put your electronic devices away, and keep your focus on the sidewalk/traffic. Have a planned route and designated meeting spot in case someone gets separated. Trick or Treat with an Adult and in groups. 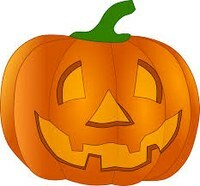 Decorate costumes and bags with reflective tape or stickers and, if possible, choose light colors. Carry a flashlight or glow stick. Avoid long costumes to help prevent trips and falls. Don't text and drive. Eliminate distractions inside your car. Have an adult check all candy to make certain it's safe. Don't go into stranger's homes. The Albuquerque Police Department hopes you have a safe and happy Halloween. Always remember to celebrate responsibly and never drink and drive.